Well,,,, How about @bonsai dave ? Thanks , but I have to say no. I have nothing running at the moment.Gingers torn apart in the garage Large Marge is in pieces in the driveway and the silver Bronco has a blown 460 in it. And I'm not going to run the wife's 92 black Bronco that you've never seen and I have no pictures of. But once I get Ginger finished and out a couple times I'd be more than happy to run. If I'm going to play I'm going to play the win. Well, I'm gonna nominate a second member, anyone have a problem with that? What say you @elpancho You got something for us ??????? Here is where it stands now 3 Nominations accepted, and 2 more nominated. I tried someone else privately... but they weren't into it, for now. never hurts to drop a seed and hope. I got something, but I’m just not ready yet. Let go guys (and gals) we need two more nominees for March! Quader1 and elpancho like this. Sorry, I am going to have to pass this time. Only because I really can't compete on a level that I feel comfortable with. 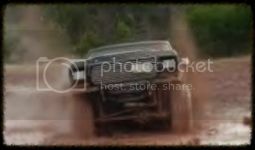 I have no real pics of my rig wheeling, and I can't get any at the moment until I get a new front driveline, the one I have is way to short and will pull out if I do any flexing at all at the moment. I am going to plan another trip to Moab in April, so I should have some good pics and videos by then. I just have nothing at the moment that is impressive to give any of the other candidates a run for their money. But I will next time. BigBlue 94, milan65 and Quader1 like this. Next time it is @Calspecial cant wait!!!!! Here is where it stands now 3 Nominations acceptedand we need 2 more nomination. We need your help, we will run with 3 but would rather get a few more so let’s rack our brains and get 2 more!!! Or if you would like to run post up in the wannabe section and someone will nominate you !!! 1 more day and we need 2 more nominations!!!!!! We can dooooooiiiitttttt!!!!!!! What say you @southern82bronco it starts tomorrow!!!! Here is where it stands now 3 Nominations accepted and 1 more nominated we need 1 more nomination. Awesome @southern82bronco it starts tomorrow!!!! Here is where it stands now 4 Nominations accepted and we need 1 more nomination.